Ticket classification benefits Help Desk by improving efficiency and will also lead to achieving higher customer satisfaction results. A Help Desk needs a ticket classification scheme to properly handle the customer’s issues when they contact the Help Desk for support. Applying proper ticket classification immediately when a Help Desk ticket is created, enables the Help Desk Agent to leverage more advanced resolution enabling tools. Below are some of the major resolution tools that can be leveraged by the Help Desk once a ticket classification process is in place. 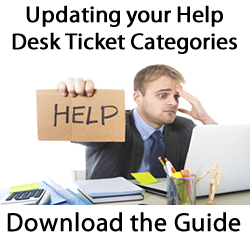 Setting Priority Levels – Ticket classification is the primary tool for a Help Desk Agents to set correct ticket priority level. High priority tickets can be quickly identified when ticket classification is associated with a mission-critical service. A ticket classification scheme can be used to put more weight on mission-critical services to ensure the Help Desk Agent assigns the correct priority. This is one of the major ticket classification benefits. Just in Time knowledge – Another one of the ticket classification benefits is to link the classification to a knowledge base. The Help Desk knowledge base system can present support solutions based on the ticket classification assigned to the incident. By presenting specific solutions based on the classification of the ticket, Help Desk agents can resolve the incident quicker than making the Help Desk agent search for a solution. Decision tree scripts – For complex incidents, a decision tree script can be used to guide the Help Desk agent’s troubleshooting steps will the goal of ultimately finding the correct solution to the issue. It starts by assigning the ticket a ticket classification. Underpinning the ticket classification selection is a script unique to that classification. The script will prompt the agent to make selections based on symptoms or attributes based on the customer’s input about the incident. Ultimately the script ends by recommending the most probable solution. Ticket Matching – If every incident ticket is assigned a ticket classification, then tickets can be matched with previously resolved tickets with a similar classification. Once matched, the resolution of previously resolved tickets can be displayed and potentially apply the same resolution steps used previously. Ticket Assignment – Ultimately Help Desk management wants the Help Desk agent to solve every incident at first contact. 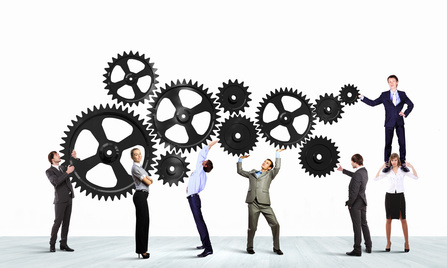 However, many incidents may need to be escalated from the Help Desk to more experienced or specialized resolver groups. Ticket classification can be used to quickly identify which resolver group the ticket should be assigned to by associating specific resolver groups to specific ticket classifications. This will reduce the ticket reassignment between resolver groups. Issue Trending – Executive monitoring dashboards and reports are based on ticket classification. When real-time ticket data are aggregated by ticket classifications, management will be able to spot issue trends. This can speed up identifying outages, degraded services and other business impacting faults. There are major benefits of ticket classification program. Ticket classification does lead to a more cost-effective Help Desk and will lead to improved customer satisfaction results.